It’s been a while since I posted. To be honest, I’m still trying to get back into the swing of things routine-wise with the new arrival to our household. 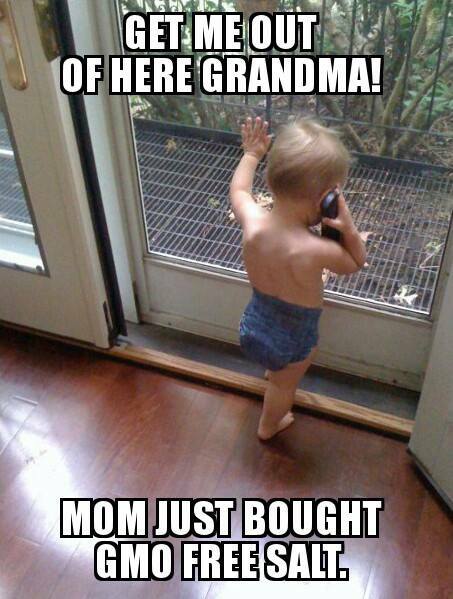 In the meantime, here are a collection of some funny genetically modified memes. Well, funny to those who are Monsanto shills, at the least. Note: I wish I could remember where I got all these to give credit where credit is due. 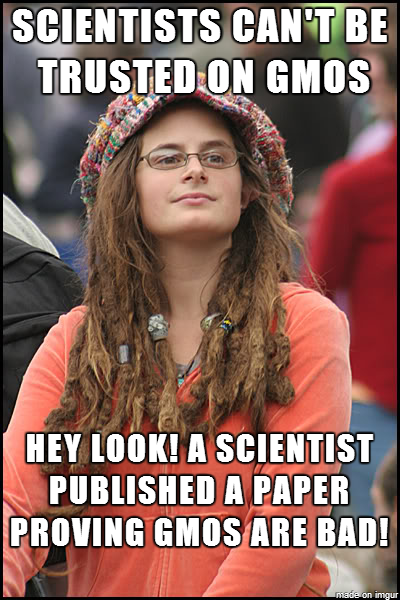 However, aside from a few stolen from the Facebook Page ‘We Love GMOs and Vaccines’, credit will have to remain blank. All are good but the first one is just awesome and something I would not be surprised to see on the facebook. Welcome back 🙂 Anytime I think of Monsanto, this little nugget reverberates – employees at Monsanto headquarters refuse to allow any food products manufactured or produced from GMOs in their cafeteria…. You should know that Monsanto sells something like 30% of all organic seeds in the US. Still not convinced – Monsanto = big money. Organics are “big money”. My question is – they sell organic seed, but are those seeds modified or pure unadulterated mother nature? They’re organic. To use the term, they must fulfil certain criteria. And yeah, organics are Big money too. You should be skeptical of their claims too! Btw, Monsanto makes less than Starbucks, and a hair more than wholefoods. They are not Shell or BP. Apple makes tens times as much money and the world loves then. Good to see you back. I’m guessing you’re having a slightly prolonged holiday from work after the new neighbours showed up in Iraq? Still being paid, I hope. Sadly true. Send me an email when you can with some pics. Would love to see how the bulb is coming along. A while… although i did have some four n twenty pies a few weeks ago… LOVELY!!!! Isn’t a “bulb” the offspring of a jellyfish? I could be wrong. That makes me want Tim Tams! So now I’m a jellyfish? I go from being a shill to a jellyfish. Is that an upgrade???? What is the graph at the top showing with the proportions of the chart? Or are they random? The numbers inside the graph show their gross revenues, the graph portion wilfully distorts Monsanto’s numbers showing it as a monopoly. So the graph portions are just lies independent from the numbers? Because Syngenta’s revenue us about 20% bigger but the portion is about 1/8 the size. That’s a phenomenal lie (and shows an agenda over a concern). It’s meant to be. 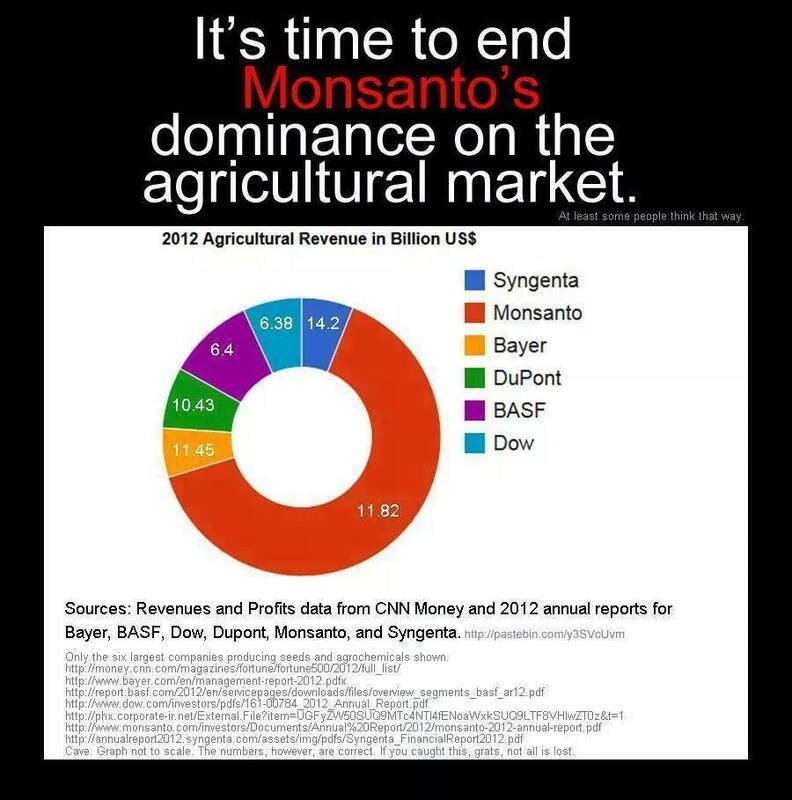 Everything thinks Monsanto has this huge monopoly, which at first the graph seems to imply. Then you look closer and think to yourself “hang on”, you realize they don’t really mean make that much. WTF… It’s meant to confirm then shatter your preconception. I assume, then, that it was made by GMO supporters (because that makes it make more sense). Several of these memes show hybrids from grafting plants. These foods, such as the banana are not GMOs! 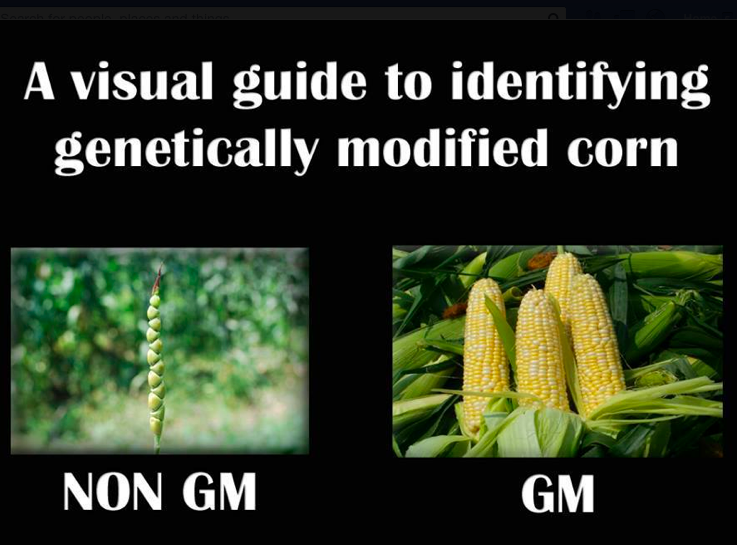 GMOs have had genes from other plants and/or animals to completely change their chemical make up. 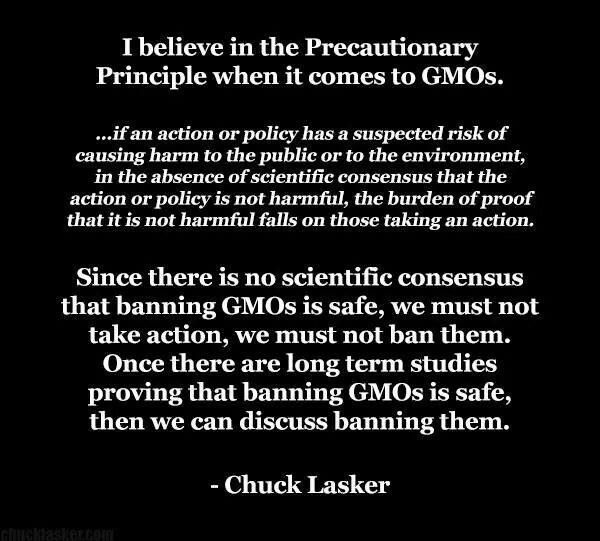 GMOs are not safe to eat, why would anyone want to eat foods created by the biggest chemical manufacturer in the world?